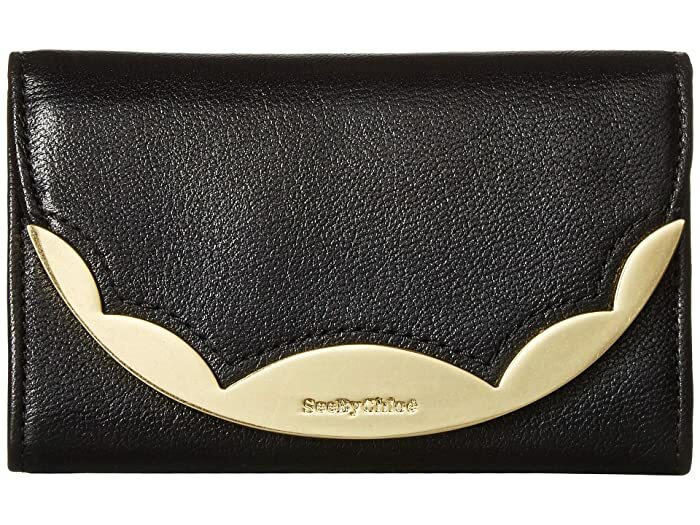 Indulge in the noble simplicity and stylish savvy of the See by Chloe™ Brady Medium Wallet. 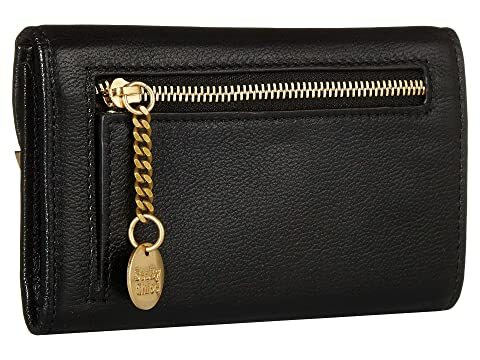 Wallet made of 100% cow leather. Fold-over flap with snap closure. Rear exterior zip pocket with curb chain and brand name zip pull. Beautiful scalloped hardware at front with engraved brand name. 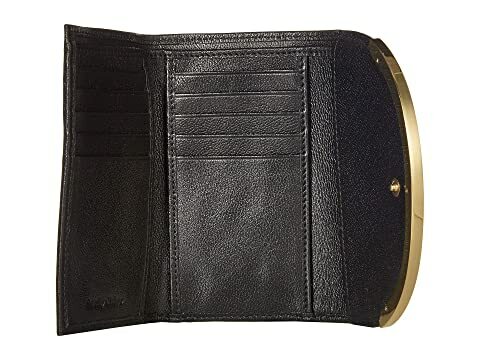 Lined interior features card slots and slip pockets.